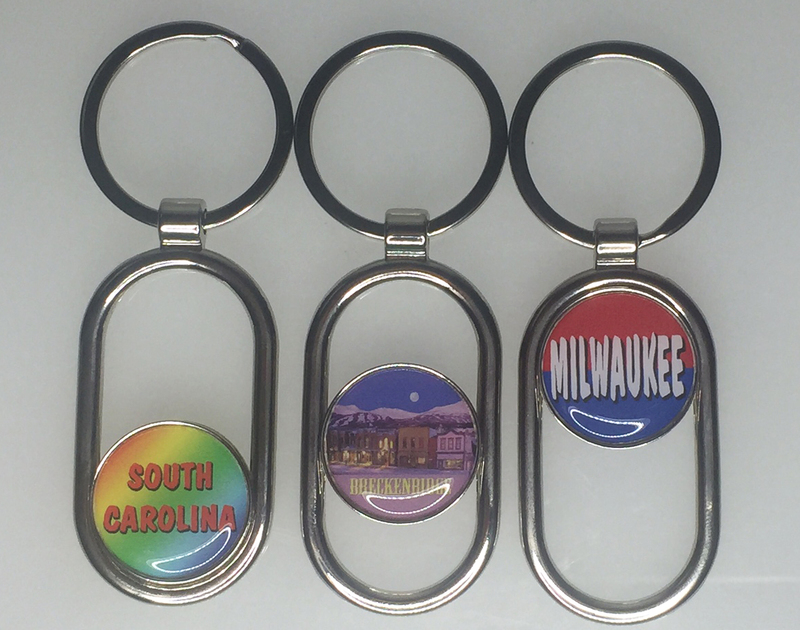 Our SLIDER KEY TAG measures about 2" long and is attached to a 1 1/4" flat split ring. They are made from zinc alloy and are plated in SHINY SILVER. Imprint area on the dome is about 7/8" in diameter. The circle insert slides up and down and spins as well.